Please join us for a special program, planned by Hillel students and co- sponsored by Havurah, Hillel and the Middlebury Area Clergy Association. This year the grandchildren of Holocaust survivors will be sharing a bit of their family histories, Jack Buettner and the College Choir will offer musical selections and local physician and author, Jack Mayer, will be speaking on the theme of his new book about the Weimar and the rise of the Third Reich. Be sure to join us for this meaningful annual commemoration. Communal chanting is an ancient technology for awakening joy and connection with others. Join us for a very special Kabbalat Shabbat led by Rabbi Jan Salzman, Rabbi David Edleson and Dr. Rebecca Gould. This is an opportunity to try out a different sort of spirit-filled Shabbat, when the singing will be ”kirtan-style,” meaning “call and response” with drums, harmonium, and other instruments to help us let down our hair and lift up our spirits. Our chants will use short meaningful passages from Hebrew prayers that focus on different ways of approaching the divine. Starting slowly, we chant each one again and again as we add drums and build the tempo and energy. Come try it out! Bring some friends who might want to try something new. We can all use more joy in our lives, and we will help that along with oneg treats of luscious chocolatey goodness. Rabbi Ira Schiffer has been looking into the possibility of creating an “informal” Jewish section of the Middlebury Cemetery, off South Main Street, across from the College’s Center for the Arts. Since it’s not possible to “fence off a section,” if a number of individuals or families from Havurah purchased adjoining plots, this would create a de facto area of folks from our community. Apart from not being in a “dedicated Jewish cemetery,” the Middlebury Cemetery Association’s rules and regulations accommodate most traditional Jewish concerns about burial. If you might be interested in this possibility, have other questions relating to this topic or simply want to learn more please join us for this informative session and discussion. This is part of the ongoing discussion of the Havurah community’s pastoral needs. Even if you have not attended previous sessions you are encouraged to attend. Please RSVP to help us plan our set up needs. Have fun getting lost and found again in the many twists and turns of the farm’s corn maze. Adults and kids alike will have fun trying to find their way out! Make your own ooey gooey s’mores on small hibachi grills! Enjoy a warm snack on a beautiful fall day overlooking Lester farms fields. Learn some great tips and tricks for carving and sculpting your Halloween pumpkins. Participants will also receive some free templates to try at home! There’s a pick your own pumpkin patch at the farm so you can venture out and find the perfect addition to your Halloween display! Farm produce and small/large pumpkins are available for purchase- just in time for Halloween. Remember, you get a pumpkin with your admission fee but feel free to buy a few more for some carving fun! Admission Fee: $5/person and pumpkin included !! It’s been a beautiful Vermont summer thus far! next weekend for a potluck dinner. to bring your family and friends! and setup needs please RSVP. We’ll be using Debbie Friedman’s melody for our informal havdalah service as we savor the last moments of Shabbat together and prepare for the week ahead. for a candlelight vigil in memory and support of the victims of the Orlando attack. Gimmel Class teacher at Havurah. Drawing upon her experiences as a practitioner of Tai Chi Chuan and Chinese Medicine and her personal study of Jewish religious practices and mysticism, Rachel invites others to join her on a journey across continents to translate the meaning and experience of the written words of faith into the language and landscape of the human body to connect us more deeply to the source of living. How is the Divine Feminine represented within the Judaic tradition? “Remember the Sabbath day and keep it holy”? In what ways can we listen from the inside, connect to the quiet, receptive space within, bringing the essence of Shabbat into our lives and relationships? The workshop will include an experiential component in which Rachel will introduce simple movements, postures, and meditative techniques to practice at home. Please feel free to contact Rachel with any questions at 802-355-9306. In order to plan our set up needs please RSVP. Rachel Edwards, M.S., L.Ac. has been practicing Tai Chi Chuan and Chinese Medicine for nearly 15 years. Prior to her formal education in these fields of study, Rachel explored natural movement and meditation in many forms including dance, contact improvisation, within outdoor education, and through a sitting meditation practice. Ever since her college semester abroad in Israel in 1988, Rachel has traveled, seeking a deeper connection to faith, finding these roots in the practice of Tai Chi Chuan and in her more current exploration of Jewish mysticism. At the same time, Rachel’s Conservative Jewish education in Connecticut, where she grew up, plus her Hebrew studies in Israel have allowed her to pick up where she left off years ago — continuing now to practice and appreciate Hebrew, and participate in Jewish religious services both with the Gimmel Class students and with her husband and three sons. She looks forward to sharing her love of language, learning, and connection to the body and breath as a way to cultivate more meaningful ritual in our lives. Rachel Joselson is an opera singer and an Associate Professor of Voice at the University of Iowa. Her most recent recording is a CD of Holocaust-themed songs, with pianist (and fellow University of Iowa Professor) Rene Lecuona to be released by Albany Records. As a soprano of Eastern European Jewish heritage, Rachel is passionate about interpreting and presenting this repertoire. Rachel and Rene are currently touring the country giving presentations scheduled around Yom HaShoah, and we are lucky enough to have them present here in Middlebury, in a joint Middlebury College/Hillel/Havurah event, on Sunday, May 8th. Their presentation will include three arrangements of Yiddish folksongs by renowned classical composer Viktor Ullmann, an inmate at Terezin who perished in Auschwitz. Terezin was designated as an “artist colony” by the Nazis. They present several selections by Ilse Weber, who composed mainly for the children interned there, separated from their parents—lullabyes, songs to give hope, and wistful songs of escaping the camp remembering home. They will perform Ein jüdisches Kind by Carlo Taube, which speaks of how Jewish children are in so many ways like all other children, but without a homeland. Ich Weiss bestimmt, ich werd Dich wiedersehn by Adolf Strauss is an example of a cabaret song, resembling light-hearted operetta, but macabre and thematically tragic— young lovers who know for sure they won’t be seeing each other ever again. In addition, Wiegenlied by Gideon Klein (Hebrew). They will do several contemporary German-language selections by Norbert Glanzberg. Born in Poland in 1910, Glanzberg escaped to France where he was banned from the classical composers’ union. He served on the Polish front and then dedicated many years of his long life to film music, songs and show business. His name, up till the last quarter of his career, was always associated with the entertainment world and such famous names as Edith Piaf, Yves Montand and Maurice Chevalier. In the late 1980s, he returned to his classical roots and Jewish heritage. He was inspired by a collection of writings by prisoners in concentration camps, both Jews and resistance fighters: Der Tod ist ein Meister aus Deutschland, later adapted for a documentary by Lea Rosh. Be sure not to miss this moving program as we remember the lives lost and celebrate the music that lives on. Please join us for a joyous, family friendly and creative celebration of Freedom, Renewal and Redemption! We are excited to be hosting a community seder this year for the second night of Pesach, led by Rabbi David Edleson. As with all Havurah events, the help of volunteers is vital and we hope you will support this wonderful holiday celebration. –Shopping. There will be a few items to pick up (wine, matzah, etc.). You will be reimbursed. –Lead a portion of the Seder. Do you have a favorite song, reading or prayer, or a story to share? Be part of our community celebration of freedom, redemption and spring. We will be using use the Gates of Freedom Haggadah by Chaim Stern as a source and our guide to the order of the Seder. Your contributions are welcome. –Potluck food – Please bring a dish to share for the potluck dinner. (See kashrut information below.) We will also need a few people to bring nut free charoset, and help with keeping hot food hot and cold food cold and bring it out to the serving table at the appointed time. –Children‘s activities – Last year we managed to keep things moving and children engaged throughout the Seder, so this is optional. But contingent upon volunteers to help with it and children needing it, we may have separate activities for children under. Please let us know if you can help monitor and/or provide ideas for these activities. –Setup – Volunteers are needed to meet at 4:00pm before the seder to set up the room and tables. –Cleanup – Volunteers are needed to stay briefly after the seder to clear and dismantle the tables. 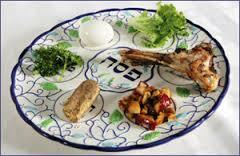 The plate fee, to cover costs of the Seder, is $7 per person or $28 per family. Please RSVP by Monday, April 18. Parking on site if for handicapped only. Please park on Seminary St or in town. In the 16th century, the mystics of Safed developed new traditions to celebrate the joyous union of divine and earthly realms. Two of these were Kabbalat Shabbat, to welcome the Sabbath Bride and the Tu b’Shevat Seder, to honor the new year for trees and to pray for the flourishing of the Tree of Life. Join us at 6:15 pm on Friday night, Jan 22, to celebrate both Kabbalat Shabbat and Tu b’Shevat with a brief seder of wine, chanting, poetry, and song to celebrate our spiritual connection to nature and one another. This is our first effort in a new series of adult-centered, spiritually-focused Kabbalat Shabbat services at Havurah, and while all are very welcome, it will not be geared to children in the way that Hebrew school-centered Friday night services are. Come unwind from the week and start Shabbat off right. Bring a bottle of red or white wine or grape juice, and dried and fresh fruits to share (please no nuts due to allergies). The seder/service will lead into a pot luck dinner around 7 or 7:15 pm, so feel free to join us for that even if you don’t make the service; just bring a dish to share (complies with Havurah Kashrut Policy). The services are being facilitated by Rebecca Gould and Rabbi David Edleson, so contact them at dedleson@gmail.com, or call (802) 453-5760 and leave a message. RSVP to hheddirector@gmail.com and let us know what dish you’re bringing!